Shell Pupils Go on a Book Hunt! On Monday 26th February Shell pupils put on a fabulous performance of their latest play, We're Going on a Book Hunt, to parents, families and friends. 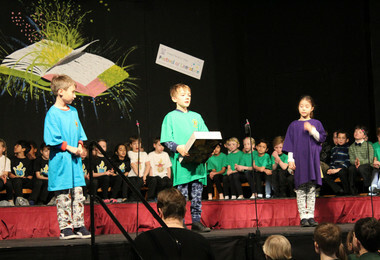 The play carried on the theme of the Festival of Literature, including scenes from some of the best loved children's books, from Harry Potter and Charlie and the Chocolate Factory to Five Minutes' Peace. 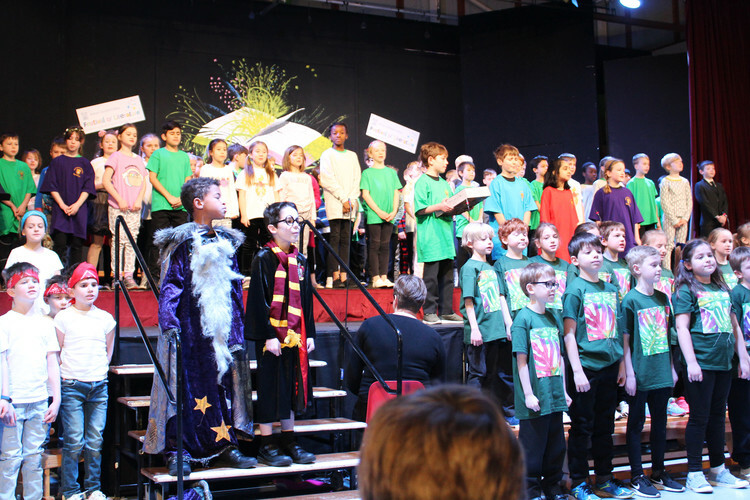 Pupils danced, sang and acted their way through the play, keeping their audience enthralled from start to finish.